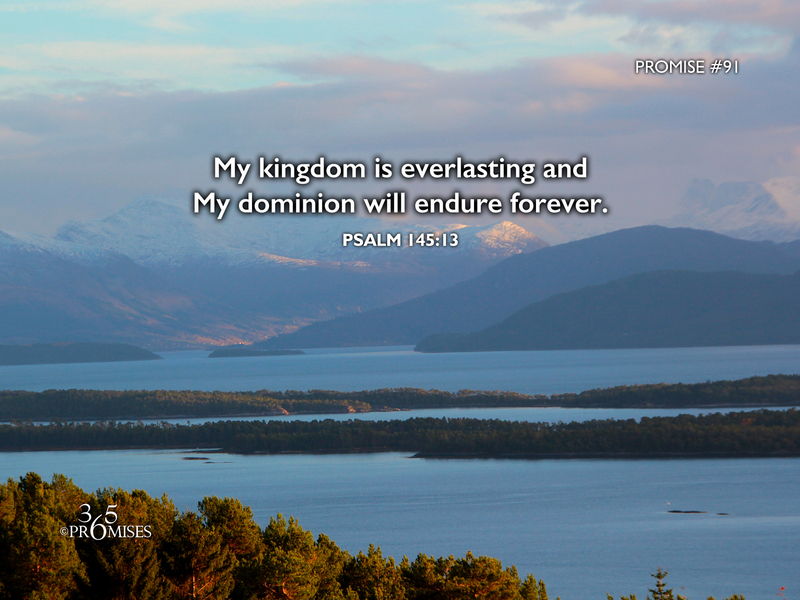 My kingdom is everlasting and My dominion will endure forever. The kingdoms of this world will not last forever. Even some of the most long standing empires that spanned immense territories eventually faltered and faded away. No matter how great the king, no matter how vast their armies, every kingdom has a beginning and an end. The hope that we have in Christ is that we are destined for a kingdom that will last forever! It is an unshakeable kingdom, ruled by the most loving King! The kingdoms of this world can at times intimidate, but be of good cheer because our Elder Brother, Jesus Christ has overcome the world and all its systems. My prayer today is that each and every one of us would set our affections on things above and not on things of this earth (Colossians 3:2). While the kingdoms of this world may compete for our attention, we belong to another kingdom where our God and Father reigns and His dominion will endure forever!